This educational activity is intended to educate obstetrics/gynecology (OB/GYN) physicians, physician assistants, nurse practitioners, and nurse midwives on appropriate hepatitis C virus (HCV) screening, testing, and referral practices for their patients. This activity presents practical information for OB/GYNs on HCV screening, confirmatory testing, patient education, and counseling strategies for use within the real-world clinical context of their practice. While HCV impacts women across diverse age groups and demographics, pregnancy raises additional considerations and risks for the HCV-infected mother and her unborn child, including mother-to-child transmission of the virus, for which faculty share recommendations and management insights. This educational activity is designed to better prepare OB/GYNs to identify patients who should be screened for HCV based on relevant professional society recommendations, appropriately link patients to care, and manage pregnancies of women who have HCV. Expert faculty will provide practical information on HCV screening, confirmatory testing, patient education, and counseling strategies for use within the real-world clinical context of OB/GYN practice. Although HCV affects women across diverse age groups and demographics, pregnancy raises additional considerations and risks for the HCV-infected mother and her unborn child, including mother-to-child-transmission of the virus, for which faculty will share recommendations and management insights. Why Should OB/GYNs Be Concerned About HCV? The Postgraduate Institute for Medicine requires instructors, planners, managers, and other individuals and their spouses/life partners who are in a position to control the content of this activity to disclose any real or apparent conflicts of interest they may have as related to the content of this activity. All identified conflicts of interest are thoroughly vetted by the Postgraduate Institute for Medicine for fair balance, scientific objectivity of studies mentioned in the materials or used as the basis for content, and appropriateness of patient care recommendations. Consulting Fees: AbbVie Inc., Gilead Sciences, Inc., Intercept Pharmaceuticals, Inc., Merck & Co., Inc. The PIM planners and managers have nothing to disclose. The Integritas Communications planners and managers have nothing to disclose. The Postgraduate Institute for Medicine designates this enduring activity for a maximum of 1.0 AMA PRA Category 1 Credit™. Physicians should claim only the credit commensurate with the extent of their participation in the activity. The maximum number of hours awarded for this Continuing Nursing Education activity is 1.0 contact hour. A statement of credit will be issued immediately upon receipt of a completed activity evaluation form. Physicians, NPs, PAs, and RNs who achieves a grade of 75% or better on the Post-Activity Test and who completes the Evaluation will receive a CME/CE Certificate. All other participant who achieves a grade of 75% or better on the Post-Activity Test Questions and who completes the Evaluation will receive a Certificate of Participation. This activity is supported by an independent educational grant from Gilead Sciences, Inc. This educational activity may contain discussion of published and/or investigational uses of agents that are not indicated by the US Food and Drug Administration. Global Education Group (Global) and Integritas Communications do not recommend the use of any agent outside of the labeled indications. If you have questions regarding the receipt of your emailed certificate, please contact PIM via email at inquiries@pimed.com. This activity is intended for medical oncologists and other healthcare professionals who treat or manage advanced or metastatic breast cancer. Recently, there have been significant advances in the development of agents that target critical pathways involved in resistance to endocrine therapy in HR-positive/HER2-negative breast cancer, such as cyclin-dependent kinase (CDK) 4/6 inhibitors, palbociclib, abemaciclib, and ribociclib. AXIS routinely collects and analyzes data gathered from participants in our live grand rounds programs. These questions provide incredible insight regarding the persistent challenges that clinicians face when trying to optimize treatment planning to verify where clinical practice gaps exist. This activity will provide expert answers to questions asked during a recent grand rounds series on CDK4/6 inhibitors for the treatment of advanced HR-positive/HER2-negative breast cancer. The goal of this activity is to provide expert perspective on frequently asked questions pertaining to the use of CDK4 and CDK6 inhibitors for the treatment of HR-positive/HER2-negative advanced or metastatic breast cancer so clinicians gain an enhanced understanding of this disease to make the best possible treatment choices with their patients. AXIS will identify, review, and resolve all conflicts of interest that faculty, authors, activity directors, planners, managers, peer reviewers, or relevant staff disclose prior to an educational activity being delivered to learners. Disclosure of a relationship is not intended to suggest or condone bias in any presentation but is made to provide participants with information that might be of potential importance to their evaluation of a presentation. Disclosure information for speakers, authors, course directors, planners, peer reviewers, and/or relevant staff is provided with this activity. Adam M. Brufsky, MD, PhD, FACP, reported a financial interest/relationship or affiliation in the form of: Received consulting fees from Lilly USA; Novartis Pharmaceuticals Corp; Pfizer, Inc; Amgen, Inc; and AstraZeneca Pharmaceuticals LP. The following AXIS planners and managers, Linda Gracie-King, MS; Jocelyn Timko, BS; Stephanie Sutphin, PharmD, hereby state that they or their spouse/life partner do not have any financial relationships or relationships to products or devices with any commercial interest of any amount during the past 12 months. 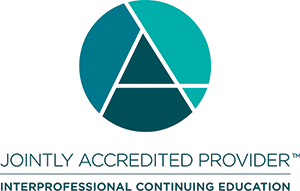 In support of improving patient care, AXIS Medical Education is jointly accredited by the Accreditation Council for Continuing Medical Education (ACCME), the Accreditation Council for Pharmacy Education (ACPE), and the American Nurses Credentialing Center (ANCC), to provide continuing education for the healthcare team. AXIS Medical Education designates this enduring material for a maximum of 0.25 AMA PRA Category 1 Credit(s)™. Physicians should claim only the credit commensurate with the extent of their participation in the activity. To receive credit for this activity, participants must review the activity information including learning objectives and faculty/planner disclosures and actively participate in the educational activity. Upon successfully completing the post-test with a score of 75% or better and the post-activity evaluation, your certificate will be made available immediately. This activity is supported by an educational grant from Lilly. For further information concerning Lilly grant funding visit www.lillygrantoffice.com. This educational initiative is intended for oncologists, nurse practitioners, and nurses who manage patients with metastatic breast cancer (MBC). This case-based webinar includes implications of genetic testing for treatment decisions, and reviews the safety and efficacy of FDA-approved PARP inhibitors for patients with metastatic or advanced breast cancer with germline BRCA mutations. MBC has a five-year survival rate of only 26%, and stands in stark contrast to localized and regionally advanced diseases. Those have a five-year survival rate of 99% and 85%, respectively, thanks to therapy improvements over several decades. Oncology clinicians continue to face several challenges in optimizing personalized, targeted treatment for MBC in a climate where data on biomarkers and evolving treatment strategies continue to emerge at a rapid pace. Ruth O’Regan, MD, has done contract research for Eisai, Novartis and Pfizer, Inc. Dr. O’Regan has served as an advisor for Genentech, Immunogenics, Lilly, MacroGenics, Novartis, Pfizer, Inc. and Puma. 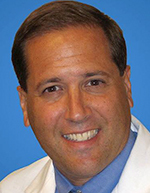 Theodore Bruno, MD, is a stock shareholder of Allergan. His spouse is an employee of Allergan. In accordance with the ACCME Standards for Commercial Support, The France Foundation (TFF), the Association of Community Cancer Centers (ACCC) and the Oncology Nursing Society (ONS) require that individuals in a position to control the content of an educational activity disclose all relevant financial relationships with any commercial interest. TFF, ACCC and ONS resolve all conflicts of interest to ensure independence, objectivity, balance, and scientific rigor in all their educational programs. Furthermore, TFF, ACCC and ONS seek to verify that all scientific research referred to, reported, or used in a CME/CE activity conforms to the generally accepted standards of experimental design, data collection, and analysis. TFF, ACCC and ONS are committed to providing learners with high-quality CME/CE activities that promote improvements in health care and not those of a commercial interest. This activity has been planned and implemented in accordance with the accreditation requirements and policies of the Accreditation Council for Continuing Medical Education (ACCME) through the joint providership of TFF, ACCC and ONS. The France Foundation is accredited by the ACCME to provide continuing medical education for physicians. 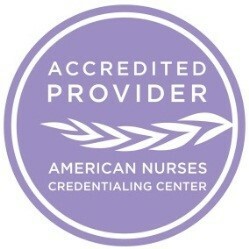 The Oncology Nursing Society is accredited with distinction as a provider of continuing nursing education by the American Nurses Credentialing Center's (ANCC) Commission on Accreditation. ONS is approved as a provider of continuing education by the California Board of Registered Nursing, Provider #2850. Successful completion of this CME activity, which includes participation in the evaluation component, enables the participant to earn up to 0.25 MOC point(s) in the American Board of Internal Medicine's (ABIM) Maintenance of Certification (MOC) program. Participants will earn MOC point(s) equivalent to the amount of CME credits claimed for the activity. It is the CME activity provider's responsibility to submit participant completion information to ACCME for the purpose of granting ABIM MOC credit. Aggregate participant data will be shared with commercial supporters of this activity. Participants in PARP Inhibitors: Advancing Personalized Medicine for Patients with Metastatic Breast Cancer – Understanding and Applying PARP Inhibitor Data to Selection and Monitoring can earn a maximum of 0.25 contact hours of CNE upon the successful completion of this continuing education activity. No partial credit will be given. Participants must view sessions in their entirety and submit a completed evaluation within the specified time frame to receive CNE credit. NOTE: It is not required to complete all three parts of the series to claim your CNE certificate for one of the parts. Complete the online posttest. A score of at least 50% is required to successfully complete this activity. The participant may take the test until successfully passed. This activity is supported by an educational grant from Pfizer, Inc.
TFF, ACCC and ONS require CME faculty (speakers) to disclose when products or procedures being discussed are off label, unlabeled, experimental, and/or investigational, and any limitations on the information that is presented, such as data that are preliminary, or that represent ongoing research, interim analyses, and/or unsupported opinion. Faculty in this activity may discuss information about pharmaceutical agents that is outside of US Food and Drug Administration approved labeling. This information is intended solely for continuing medical education and is not intended to promote off-label use of these medications. TFF, ACCC and ONS do not recommend the use of any agent outside of the labeled indications. If you have questions, contact the Medical Affairs Department of the manufacturer for the most recent prescribing information. This webinar provides an overview of PARP inhibitor therapy for patients with breast cancer, including use as single-agent therapy, and ongoing studies evaluating PARP inhibitors in combination with chemotherapy and immunotherapy for this patient population. Carol K. Tweed, MD, has served on an advisory board for AstraZeneca. She has served on a Non-CE speakers bureau for Genomic Health. Successful completion of this CME activity, which includes participation in the evaluation component, enables the participant to earn up to 0.50 MOC point(s) in the American Board of Internal Medicine's (ABIM) Maintenance of Certification (MOC) program. Participants will earn MOC point(s) equivalent to the amount of CME credits claimed for the activity. It is the CME activity provider's responsibility to submit participant completion information to ACCME for the purpose of granting ABIM MOC credit. Aggregate participant data will be shared with commercial supporters of this activity. Participants in PARP Inhibitors: Advancing Personalized Medicine for Patients with Metastatic Breast Cancer – Future Vision can earn a maximum of 0.50 contact hours of CNE upon the successful completion of this continuing education activity. No partial credit will be given. Participants must view sessions in their entirety and submit a completed evaluation within the specified time frame to receive CNE credit. NOTE: It is not required to complete all three parts of the series to claim your CNE certificate for one of the parts. This case-based webinar reviews criteria for BRCA1/2 testing, the importance of obtaining family history for patients with cancer, interpretation of genetic testing results for patients with metastatic breast cancer and their families, and ways to access genetic services. Participants in PARP Inhibitors: Advancing Personalized Medicine for Patients with Metastatic Breast Cancer – Appropriate Genetic Testing and Implications for Targeted Therapy Use can earn a maximum of 0.75 contact hours of CNE upon the successful completion of this continuing education activity. No partial credit will be given. Participants must view sessions in their entirety and submit a completed evaluation within the specified time frame to receive CNE credit. NOTE: It is not required to complete all three parts of the series to claim your CNE certificate for one of the parts. The program content has been reviewed by the Oncology Nursing Certification Corporation (ONCC) and is acceptable for recertification points. CNE sessions have been classified into the following ILNA categories for all certification renewals (OCN, BMTCN, AOCNP, AOCNS, CBCN, CPHON). This activity is intended for oncology nurses, advanced practitioners, pharmacists, pharmacy technicians, and other allied healthcare professionals involved in the team-based management of breast cancer. Discuss the risks, benefits, and differentiation points among CDK 4/6 inhibitors for the treatment of HR-positive/HER2-negative advanced breast cancer with the healthcare team and patients. Evaluate proper dosing and administration of oral CDK 4/6 inhibitors used in the treatment of HR-positive/HER2-negative advanced breast cancer. Enhance patient education through shared decision-making strategies regarding therapy selection and the importance of oral therapy compliance to maximize therapeutic outcomes. Educate patients on potential adverse events associated with CDK 4/6 inhibitors. Develop strategies to anticipate, monitor and manage adverse events with oral CDK 4/6 inhibitors for the treatment of HR-positive/HER2-negative advanced breast cancer to maximize the benefits of these therapies. The American Cancer Society estimated that in 2017 there were 255,180 new cases of breast cancer and 41,070 deaths due to breast cancer in the United States. Nearly 80% of patients with advanced breast cancer have the HER2-negative subtype and, therefore, are not candidates for HER2-targeting therapies. Significant advances include the development of agents that target critical pathways involved in resistance to endocrine therapy, such as cyclin-dependent kinase (CDK) 4/6 inhibitors. Differentiating among the agents that comprise this novel class will be essential practice skills that oncology advanced practitioners such as nurses and pharmacists will need to become more familiar with to advance patient care and support. New oral agents are revolutionizing breast cancer care, and data show that patient adherence to the full duration of therapy is critical to realize the positive effects of these agents on tumor control and patient survival. Nurses and pharmacists can play a critical role in improving patient adherence to oral therapy, from treatment decision support and monitoring to management and patient counseling. This activity will review these oral therapies, including risk and benefits, barriers to adherence, side effect monitoring and management and patient counseling on aspects such as dosing and safe handling of oral therapies. This will be coupled with education about shared decision-making strategies to achieve increased patient satisfaction, better adherence to treatment plans, greater treatment engagement, and better quality decision making. The goal of this activity is to provide education about oral CDK 4 and 6 inhibitors for the treatment of HR+/HER2− advanced or metastatic breast cancer so nurses, pharmacists, and other healthcare professionals are able to educate, counsel, and support patients regarding benefits, dosing, adherence, and side effects of therapies to make informed decisions with the goal of improving patient outcomes. AXIS will identify, review, and resolve all conflicts of interestthat faculty, authors, activity directors, planners, managers, peer reviewers, or relevant staff disclose prior to an educational activity being delivered to learners. Disclosure of a relationship is not intended to suggest or condone bias in any presentation but is made to provide participants with information that might be of potential importance to their evaluation of a presentation. Disclosure information for speakers, authors, course directors, planners, peer reviewers, and/or relevant staff is provided with this activity. The following AXIS planners and managers, Linda Gracie-King, MS; Jocelyn Timko, BS; Stephanie Sutphin, PharmD; and Marilyn Haas, PhD, RN, CNS, ANP-BC hereby state that they or their spouse/life partner do not have any financial relationships or relationships to products or devices with any commercial interest of any amount during the past 12 months. This application-based activity is approved for 1.0 contact hour of continuing pharmacy education credit (JA4008106-0000-18-039-H01-P and JA4008106-0000-18-039-H01-T). AXIS Medical Education designates this continuing nursing education activity for 1.0 contact hour. To receive credit for this activity, participants must review the activity information including learning objectives and faculty/planner disclosures and actively participate in the educational activity. Upon successfully completing the post-test with a score of 75% or better and the post-activity evaluation, your certificate will be made available immediately. Pharmacists – your record will be loaded to CPE Monitor. Pro-CME showcases the best-in-class online continuing medical education programs developed for physicians, nurses, and healthcare professionals. We partner with leading medical and healthcare organizations to bring you top CME activities aimed at improving patient care and clinical outcomes. With a variety of multimedia program formats across 29 specialties, Pro-CME provides a destination for clinicians to participate in the latest educational activities for earning credit towards your CME/CE certification. Select your state to view state board CME requirements.